Is it October in here, or is it just me? It’s time for another edition of “Amy 'Can’t Believe' it’s Already [the next month].” You’d think I’d have the hang of this whole calendar progression thing by now, but apparently not. At any rate, October means harvest and Halloween programs, crisp weather (I hope), and beautiful fall foliage. It also means Columbus Day (Oct. 8). 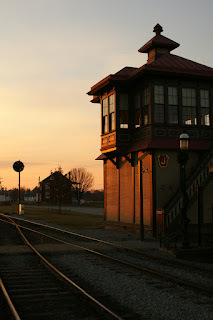 Most sites on the Trails of History will be closed, but Drake Well Museum, Ephrata Cloister (sorry, my mistake--AKF 10/4/12), Fort Pitt Museum, and the Railroad Museum of Pennsylvania will be open. Oct. 5: Celebrating the Iron Furnaces—see the furnaces illuminated, enjoy local bluegrass band Cabinet, and take a hayride at this free Scranton Iron Furnaces program. Tours of the Scranton Estate at the Univ. of Scranton will also be available. 6-9 pm. Oct. 20: Bonfire and Harvest Festival—experience Celtic harvest traditions, food, music, and a roaring bonfire at the Scranton Iron Furnaces. Sign up here to enter the Pumpkin Carving contest. Admission fee charged, benefits the Arts on Fire Festival held in the summer. 8-11 pm. Oct. 20: Halloween Event—Witch Hunt and Ball. Please check the website for details as the date approaches. Oct. 28: Battlefield Movies—This month’s feature is The Crossing, an A&E production starring Jeff Daniels as George Washington. Free. 1 pm. Oct. 3: Westmoreland Day of Giving—Bushy Run Battlefield Heritage Society is participating in this one-day-only online giving campaign sponsored by the Community Foundation of Westmoreland County. To learn more about the 2012 Day of Giving, go here. Oct. 20: Haunted History Hayride—this year is the 23rd annual hayride event, so you know it’s popular. Tickets go on sale Oct. 1 and cannot be purchased before that date. Call the site at 724/527-5584 to place your order (leave a message with name, phone number, and number of tickets requested). 7-10 pm. Oct. 7: Site open—it’s the first Sunday of the month, so the site will be welcoming visitors from noon to 4 pm. Oct. 23: Weiser Interpretive Sunday and Fall Park Walk—enjoy the beautiful Olmsted-designed park, as well as hourly guided tours of the site. Noon-4 pm (last tour is at 3). Oct. 9: Friends Lecture Series—“The History of Powwowing,” a talk by Patrick Donmoyer, will explore the historical and cultural roots of Pennsylvania German traditional medicine customs and rituals. Lecture is free and takes place in Freeman Auditorium at Cornwall Manor retirement community. 7 pm. Oct. 14: Antique Autos and their Drivers Visit the Furnace—as part of the “Hershey Hangover Tour” (so-called because it comes on the heels of the Antique Automobile Club of America’s annual fall meet in nearby Hershey), a selection of vehicles will be on site sometime between 2:30 and 4 pm. Oct. 14: Heritage Day and Market Fair—activities planned for this annual event include a market and craft fair, Pennsylvania German food vendors, the unveiling of the newly renovated visitor center, and a new exhibit on the myths and history of Daniel Boone. Admission charged (no fee for Friends of Daniel Boone Homestead members). 10 am-4 pm. Oct. 21: Fall Lecture Series—Marcia Fronk Houston will present a talk based on the journals of travelers who were “Just Passing Through” the Reading area in the early 19th century. Suggested donation, $2. 2 pm. Oct. 27: Reservation deadline for Dinner with Daniel Boone—this fundraising event on Nov. 3 will feature Boone interpreter Scott New, who will be at the homestead that day to help celebrate Daniel’s birthday. Check here for details and call 610/582-4900 for reservations. Oct. 28: Halloween at the Homestead & Pig Roast Fundraiser—there will be loads of activities for kids, including trick-or-treating (wear a costume and bring a bag for your goodies), plus a storytelling program, and a pig roast fundraiser. Different admission fees apply depending on what you wish to participate in (combo tickets are available). Go here for details and plan your day. 10 am-4 pm. Oct. 17-19: Heritage School Tours—students spend a full day learning about oilfield life. Reservations required; call 814/827-2797. Oct. 27: Oil Valley Blacksmiths—this is the last of the monthly blacksmithing demos for the season. 10 am-2 pm. Oct. 7: Ghost Stories from the Mines—Bob Vybrenner will share tales of ghosts and other weird happenings. Is Eckley haunted? You decide. 2-4 pm. Oct. 12-13, 19-20, 26-27: Halloween Lantern Tours—tour groups walk through the 19th-century village and encounter funny, scary, and entertaining scenes. Bring your own flashlight or you can purchase a lantern when you buy your tickets. Rain dates are Oct. 14, 21, 28, but you should check with the site to confirm. Admission charged. While this event is family-oriented, it is not recommended for children younger than 6. First tour leaves the visitor center at 6:30 pm, the last at 9 pm sharp. Oct. 5-6: Apple Dumpling Days—celebrate autumn, support the Back to the Cloister Fund (which helps to return original furnishings and objects to the site), and enjoy a wonderful Pennsylvania Dutch tradition. Saturday, Oct. 6, is also a Day of Music, featuring the Ephrata Cloister Chorus. Visit the website for details on admission prices. There is no admission fee if you come just to purchase apple dumplings. 9:30 am-4 pm. Oct. 6, 13, 20: Mysterious, Melancholy, and Macabre—ripped from the headlines of early Lancaster newspapers, stories of murder, conspiracy, lightning strikes, and (perhaps) a ghost or two make this a chilling (though not terrifying) event. 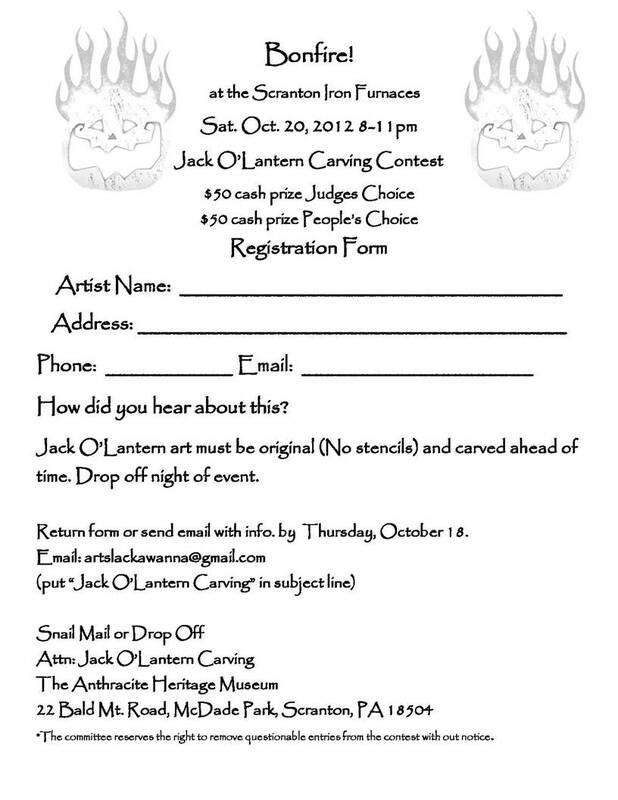 A master carver will be working on a giant pumpkin (about an hour before the first tour). Reservations are recommended, and tickets are on sale now; call 717/733-6600. Tours set out every half-hour from 6:30 to 8 pm. Oct. 19: Community Days—this popular program is an educational open house, with learning stations scattered around the site. Students and their accompanying adults move at their own pace as they explore the activities. Reservations are strongly encouraged; call 717/733-6600. 9:30 am-1 pm. Oct. 8: PA Council for History Education (PCHE) history conference—hosted by the Erie Maritime Museum and sponsored, in part, by PHMC, this program is designed for educators and anyone else interested in learning and/or teaching about the War of 1812. Go here for details and registration materials. 8:30 am-3:30 pm. Oct. 20: Lecture—Dr. Allan Belovarac, professor of history at Mercyhurst University, will talk about his research on the Battle of Lake Erie (Sept. 10, 1813). More specifically, Dr. Belovarac will explore the historical controversy surrounding Jesse Duncan Elliott, sometimes accused of cowardice and holding his ship (Niagara) back from the battle (you can see a previous lecture on the subject here). Hirt Auditorium, 2 pm. Oct. 3-4: Senior Days—In the late 1700s, intellectual and poet Elizabeth Graeme Fergusson gathered friends for evenings of conversation and enlightenment. This new program is in that spirit and offers two days of educational sessions and sociability. You can register for either or both days, depending on your interest and schedule. Continental breakfast and lunch is included each day. Go here for more info. Oct. 26-27: Haunted Moonlight Tours—see the Keith House by night at this popular annual program. Check the website or blog closer to the date for details. Oct. 4 and 25: Hands-on History Days—children of all ages get to experience seasonal chores, hands-on crafts, wagon rides, and more. $10 per person (children 5 and younger get in free). Contact Sheri Brown for details: c-sbrown@pa.gov or 717/569-0401 x 228. 10 am-3 pm. Oct. 13-14: Harvest Days—a classic autumn event with wagonloads of demonstrations and activities for the whole family in a beautiful setting. Go here for details and lovely photos from past events. 11 am-5 pm. Oct. 13: Oktoberfest from A to Z—this seminar will look at the history, facts, customs, traditions, and highlights of Oktoberfest in Munich, Germany. Cost is $20; contact instructor Ed Heinlein at 412/680-6460 or eheinlein@comcast.net. 10 am-noon. AND German “Oktoberfest” Celebration—enjoy entertainment by Burke’s Bavarian Band and German beer from Pennsylvania. Cost is $40 ($32 for members of FOEV); deadline to purchase tickets is Oct. 8 (call 724/266-4500 x 101). 6-10 pm. Oct. 7: Historic Trades—your last chance, for this season, to visit the blacksmith and joyner as they demonstrate their skills with metal- and woodworking. 1-4 pm. Oct. 14: Living History Theater—you are invited to join Penn’s steward and housekeeper, John Sotcher and Mary Lofty, as they are united in marriage according to 17th-century Quaker wedding customs. Sign the wedding certificate and chat with William Penn and other guests. 1-4 pm. Oct. 21: The Tiger Classic at Penn’s Manor—Bristol Township School District is organizing a Family Fun Run and 5K on the grounds at Pennsbury. There will be food, entertainment, and a great chance to experience the site. Go here for details and registration, or you can register on the day. 7:30 am-1 pm. AND Open Hearth Cooking—the cooks will have the oven fired up and the aroma of freshly baked bread will be everywhere. Come for the run, stay for the bread. 1-4 pm. Oct. 28: Family Halloween and Witch Trial—enjoy trick-or-treating, traditional fall activities, and games. There will also be a living history theater presentation of the 1684 trial of Margaret Mattson, accused of witchcraft by some of her neighbors. 1-4 pm. Oct 6-7: 31st Annual Fall Antique and Collectible Show—dealers from New Hampshire, New York, and Pennsylvania will bring their finest; the visitor center will be featuring an exhibit of 19th-century lumber region photographs; volunteers will demonstrate the museum’s new Birch Still; and there will be an ongoing silent auction. Admission is $4.50 for adults, $3 for ages 3 to 11 (free for members); proceeds will support interactive exhibit components for the expanded and renovated visitor center. Go here for details. 10 am-4:30 pm. Oct. 3: Richard Kontz Memorial Lectures (Friends of PMM)—Capt. James Bloom, USNavy (Ret.) will present “War of 1812: A Naval Perspective,” focusing on US naval successes early in the war, key engagements, and naval warfare in general during the Age of Sail. 7:30 pm. Oct. 7: Garden Railways Tour—this annual event features nine outdoor model train layouts scattered throughout Lancaster County. Tickets ($10 per person for ages 6 and up) are available from the museum by mail or in person; they can also be purchased at any Stauffer’s of Kissel Hill store in central Pennsylvania. Go here for details, including mail-in order form. 1-5 pm. Oct. 27: Exhibit opening—“The Run for Political Office” explores three centuries of election history in the local region and at the national level. The exhibit includes campaign posters, buttons, and even an early voting booth. Included in regular admission (free for members). Oct. 30: Trick or Treat through History—Young and old are invited to dress as their favorite Somerset Countian and enjoy an evening of trick-or-treating with a historical theme. Lanterns will light the pathways between buildings. Check with SHC for exact times. Through Oct. 12: Fort Hunter Dig—the public is welcome to see the work being done by State Museum archaeologists to uncover the 18th-century remains of the Fort (you can read more about that here). Oct. 17: National Fossil Day—visit Dino Lab to see the bones of a mammoth discovered at the bottom of Erie County’s Lake Pleasant in 1991 and recently acquired by the museum. Included in museum admission. 11 am-2 pm. Oct. 19: 3rd in the Burg—this month the museum will feature its new “Planetarium XD,” with showings at 11:30 am, noon, and 12:30 pm. Admission is free during those times on a first-come, first-served basis (planetarium seating is limited). Oct. 20: Great Pumpkin Day—this annual family event provides fun, games, snacks, and a “Trick-or-Treat” challenge as you explore the exhibits. Included in museum admission. 10 am-3 pm. Oct. 7: Historic Foodways—join foodways interpreters for a chocolate demonstration in the Lower Park. Free. 10 am-3 pm. Oct. 13-14: Taylorsville Tour Days—the area of the Lower Park is also the village of Taylorsville. Learn more about life there in the 19th century by taking a tour. Admission is $8 for adults, $4 for ages 5 to 11 (under 5 are free). 10 am-4 pm. Oct. 27 Oct. 26: 23 Steps—a harvest and Halloween inspired program at Bowman’s Hill Tower. The program includes a chance to look at the stars from the top of the tower through a telescope (if you climb the 23 steps from the elevator). Check the website or contact the site at 215/493-4076 for details. 7-10 pm 6 pm & 8 pm. It’s time for a periodic review of newsworthy items that haven’t made it into other posts. As we drift into autumn (officially tomorrow), I’d also like to put in a plug for Pennsylvania Heritage; the Fall 2012 issue’s Trailheads feature looks at exhibits and programs on the Trails of History. The magazine is a benefit of membership in the Pennsylvania Heritage Foundation (another benefit is free regular admission to PHMC sites). If you’re already a member of PHF or of an Associates/Friends group at one of our sites, thank you for your support. We appreciate all the folks who join, visit, donate, and/or spread the word about the Trails of History and participate in the important work of telling Pennsylvania’s stories. One way you can help tell the stories of Pennsylvania history is by nominating an event, place, or individual for a PHMC historical marker. The subject of the nomination must have statewide or national significance. This often means putting specific examples into their larger context, which, in my opinion, is one of the things good local history does. Nominators must do their homework and provide substantive background on the subject of the marker, so it’s time to start if you want to make the December 1 postmark deadline. Details on the criteria for selection, types of documentation required, and the nomination process are here. Gov. Tom Corbett and First Lady Susan Corbett (also known as First Tourist) will be on hand later today to welcome US Brig Niagara and her crew back to Erie after their participation in the Battle of Lake Erie commemoration in Put-in-Bay, Ohio, and Navy Week festivities in Buffalo, New York. And thanks to a $40,000 grant from Country Fair, 900 8th graders in Erie and the surrounding area will sail on Niagara (not all at once) to learn about the War of 1812, the basics of knot tying, and what shipboard life was like for 19th-century sailors. If you’ve had the chance to take part in a daysail, you know that it’s likely to be the highlight of the year for many of the students (maybe we’ll even get some budding historians out of it). Through this partnership with the Flagship Niagara League, the public can contribute to the 8th grade daysails by purchasing a Sailing Program placard at any Country Fair store during the month of September. In late August, the Pennsylvania Department of Environmental Protection (DEP) announced this year’s grant recipients in the Coastal Zone Management program. CZM, a federal program funded primarily by the National Oceanic and Atmospheric Administration (NOAA, the folks that make the weather), supports programs that measure the impact of various pollution sources; improve public access; preserve habitats; and educate the public about the benefits of the state’s coastal zones (the Delaware River Estuary and Lake Erie). PHMC received a grant of $40,000 for the restoration of fences around historic plantings and garden beds at Pennsbury Manor. To see first-hand where some of this work will take place, check out the Garden Highlights program at Pennsbury this Sunday from 1 to 4 p.m. 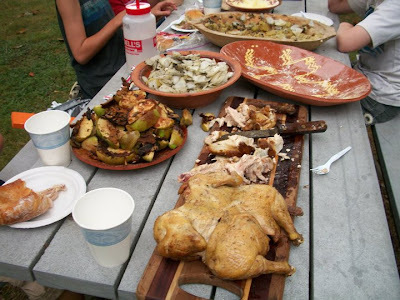 The PHMC’s 2012 Foodways theme will, come the new year, give way to the 2013 theme (the Civil War), but let’s face it, food traditions always have been, and probably always will be, a big hit at historic sites. Starting on Sept. 29, Graeme Park will offer “Hearth and Home: Seasonal Cooking in the Colonial Kitchen,” a series of four programs focused on seasonally available foods of 18th-century southeastern Pennsylvania. Each class will include hands-on activities (for foodie grownups) and a shared meal. In addition to next Saturday, classes are scheduled for Dec. 8, Mar. 9, and May 11; cost is $55 per class or $200 for all four. Registration (required) closes 2 days before each class. Go here for details and contact info. Exhibits have been a recurring topic on Trailheads this summer, but that’s because there’s so much news to report. On Tuesday, Sept. 18, as part of their annual meeting and dinner, the Friends of Joseph Priestley House will premiere “The Joseph Priestley Timeline” exhibit in the Pond Building. The new panel exhibit (shown in tiny size above) complements the Priestley laboratory exhibit that opened last year. It provides a detailed look at Priestley’s life, including his contributions to science, education, theology, and political theory. The kicker? One of those contributions is the development of the modern timeline as a visual representation of history. How “meta” is that? Now through Nov. 16, you can check out “The Lackawanna Iron Furnaces of Scranton, Pennsylvania: History, Art, Heritage.” Organized and hosted by the Hope Horn Gallery at the Univ. of Scranton, the exhibit is in honor of the 21st anniversary of the Scranton Iron Furnaces’ listing on the National Register of Historic Places and is part of the gallery’s 2012-13 “Landmarks and Milestones” series. The exhibit uses paintings, photographs, maps, and drawings to explore different aspects of the furnaces’ history and significance to the region. Gallery hours are Sunday through Friday, noon-4 p.m. (also Wednesday evenings, 6-8 p.m.). For information on upcoming programs at the Furnaces or the Anthracite Heritage Museum, click here. As it wraps up its days on the road, the PA Civil War Road Show will cross the Mason-Dixon line this weekend to join Virginia’s Civil War 150 HistoryMobile in commemorating the 150th anniversary of the Battle of Antietam (Sept. 17, 1862, outside of Sharpsburg, Maryland). The two travelling exhibits will be open to the public Friday, Sept. 14, through Monday, Sept. 17. For more information, click here. 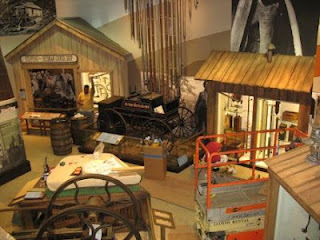 When the PA Road Show completes its 2012 season at the end of the month (remaining schedule is here), some of the components will be installed at the State Museum so that they will continue to help visitors learn about Pennsylvania’s role in the Civil War. Do you enjoy taking photographs? Sure, who doesn't? But have you been feeling lately that there must be more to life than posting pix of yourself (and/or your kid and/or your cat and/or your hobbies) on Facebook? Now, thanks to two sites on the Trails of History, there is more. Starting on Sept. 20, photographers are invited to enjoy and capture the beauty of fall foliage at Eckley Miners' Village. (Yes, I know the photo above isn't fall foliage but it's one of my favorite shots of the village.) Please register at the visitor center during regular business hours (Monday-Saturday, 9-5, and Sunday, noon-5). You'll be asked to pay $5 per day (which is a bargain) and then you're free to roam (please remember that some of the houses in the village still have people living in them). Entries will be accepted through December 1st and must be printed for submission. The winner will receive a $25 cash prize, a certificate, and a complimentary one-year membership in the Eckley Miners' Village Associates. Those of you who love to take photos of railroad people, places, or equipment will have a chance to show off your work through the Railroad Museum of Pennsylvania's photo contest. 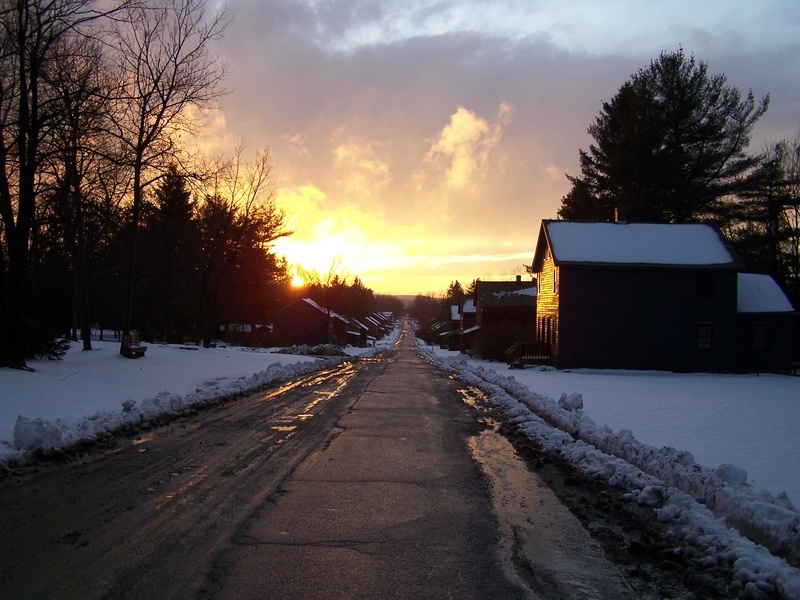 Entrants can submit up to three photos (shots taken in 2012 in Pennsylvania, please). A panel of judges will select a youth division and adult division winner in each category (people, places, equipment) to receive a $100 cash prize. All entries will be included in the Museum's 2013 changing exhibit (opening in the spring) either as a framed print or as part of a video slide show. (Go here for details about the contest.) Entries will be accepted through Jan. 31, 2013. So get out there and start snapping (see kids, in the old days, we called them snapshots--you can look it up on the google).